Volvik Vivid XT Golf Balls Extreme Distance, Premium Performance, Game-Changing Look. The VIVID XT is a brand new premium golf ball from Volvik and one of the most unique balls on the market. In fact, it’s the only four-piece golf ball available to the public that doesn’t have a urethane cover, as the XT’s cover is made of Zirconium. Also unique is that the VIVID XT features a matte finish that was specifically designed for the World Long Drive circuit. That combination produces a ball that’s extremely durable and aerodynamic, but it still offers exceptional greenside spin and control. But where the XT excels is from a distance standpoint, as it produces extremely low spin rates off the driver. It’s also a ball that’s recommended for higher swing speed players, ideally those who are above 100 MPH with a driver, according to Volvik. The Volvik Vivid golf balls provide bright colors to increase visibility in the air, on the ground, and in the rough. The Volvik Vivid ball construction allows for a consistent and stable flight with a comfortable & soft feel. Perfect for lower swing speeds. 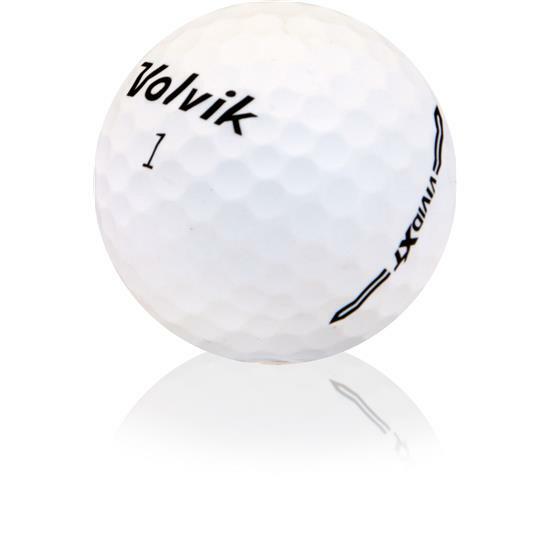 Volvik XT Golf Balls are perfect for amateur golfers with swing speeds between 70-90 mph..